It’s Friday- what’s your weekend plans? 1. Deep South Mag and their #literaryfriday: Fannie Flagg, Vampire Books, Lee Smith, book festival news and so much more! Always With a Book is giving away the latest Laura Childs book, Gilt Trip! 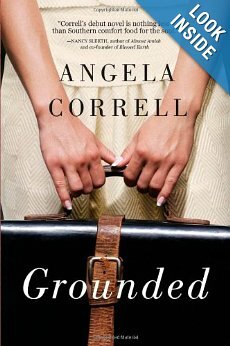 Book-Alicious Mama is giving away Grounded by Angela Correll! Traveling With T is giving away Strangled by Silk by Barbara Jean Coast! 3. Traveling With T was visited this week by Angela Correll- her debut novel, Grounded, was released this week! Read the Interview or Author Spotlight about Angela for more information! 4. Reviews posted this week on Traveling With T: Grounded by Angela Correll, Wedding Belles by Beth Albright, The Husband’s Secret by Liane Moriarty & Rose Harbor in Bloom by Debbie Macomber. 5. Book Lovers Unite is reading The Life List for October! Here is Week 1 questions! 6. Another AWESOME blogger: Helen at My Novel Opinion! 7. Yesterday, I posted a blog post that I had written- A Million and 1 ways to be a Blogger. In it, I consider things that bloggers think about- but mainly, the question is “Am I Blogging Right?” Is there a right or wrong way to blog? I don’t know- but I’m loving hearing what others are thinking! 8. Bloggers Recommend just posted their October newsletter: 26 Must Reads for October 2013. Check it out and find you a read! 9. My #fridayreads The Last Winter of Dani Lancing by P.D. Viner. At first it was hard to get into- but I hit a groove the other night. Let’s hope that continues! What are some of your favorite books, Angela? So many! Wendell Berry’s Port William novels, Jan Karon’s Mitford books, the Believers by Janice Holt Giles and To Kill a Mockingbird by Harper Lee. If you could choose to be a character in a book- who would you choose? Dorothy Gilman’s Emily Pollifax. Mrs. Pollifax is always getting into something while traveling the world. If you were not an author, what would you like to be? A history detective. I love unsolved mysteries and history is a passion, so what could be better than combining the two? Do you have any #literaryconfessions? I must confess I am a southerner who has never read William Faulkner. Absalom Absalom! Is on my bedside table, does that count? Do you have a #literarycrush? I wish I could be more original but it’s always been Fitzwilliam Darcy. I love the reality show, Flying Wild Alaska! *Special thanks to Angela Correll for agreeing to this author spotlight! 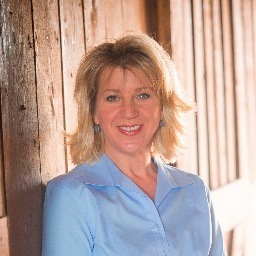 Want to connect with Angela Correll? Here’s the information: website, Facebook and Twitter. Angela Correll is a debut author- her first book is GROUNDED. One of the best things about blogging is finding debut authors (or having people assist you in the finding of new authors!) Angela graciously allowed me to interview her at Traveling With T- so here is the interview. Check back later this week- because even the debut authors have to answer the #literarycrush and #literaryconfessions questions at Traveling With T! What was the inspiration for the book Grounded? Fifteen years ago, I left Lexington to marry and move to a farm outside of a small town. This was like coming home for me since I grew up in a neighboring town and most of my family members farmed. However, I hadn’t lived on a farm since I was five years old, so this was a new experience for me as an adult. My recent city mindset made me see the differences in rural and urban environments, city vs. small town, and the value of both. That experience was the original inspiration for Grounded. Angela– Grounded is your first book. As a debut author, is social media playing a role in promoting your book? Facebook has been huge for getting the word out to friends from different seasons of my life. I can’t imagine doing this without it. I am blogging and tweeting, so yes, it is important. Part of me wants to retreat to a time when there is no technology and I am pecking away on an aged typewriter, but in order to be relevant in today’s age, it’s important to do. What is the best advice you have received in regards to writing? It’s a little talent, but mostly perseverance. Stay with it day after day, learn, grow, improve, and always be willing to revise. In the beginning writers want to know if they have enough talent to invest a huge chunk of time writing. That’s not the question as much as do you want to put the time and effort that it will take to do this? Can you persevere? Do you have a writing space? Or a writing routine? The early morning is my favorite writing time. I sit in my den with my feet propped up on an ottoman, a laptop in front of me, a lapdog beside me, and a steady stream of coffee. Will you be going on a book signing tours for Grounded? Yes! I have lots of dates lined up in Kentucky and friends in Texas, Illinois, Florida, Tennessee, and North Carolina are working on dates there. You can check out the events page on the website for updates (www.angelacorrell.com). The characters in Grounded– are any based on people you know or are they created from your imagination? They are all based on parts of people I know or have known in my lifetime. Each character is like stained glass, a melding of this piece and that piece, to make something unique. Do you have a favorite character in Grounded? I have always been partial to Beulah. She was the easiest to write. If Grounded was made into a movie- do you, Angela, have a dream cast in mind? I don’t watch enough of TV or movies to know the possibilities, but I hope whoever is picked will come to Kentucky and soak up the culture and the accents before taking on the job. Can you give any hints about what you are working on next, Angela? My hope is to continue to write about different characters from Somerville so that when readers invest in the place, they will get to visit it over and over through the eyes of different characters. Next up is a sequel for Grounded. *Special thanks to Angela Correll for agreeing to be interviewed! Angela Correll is working on her second novel- which is a sequel to Grounded. When not writing or reading- Angela can be found on Facebook, Twitter and her website. Annie is a flight attendant- flying the skies to far-flung places around the world. When she is home, New York City- with it’s wonderful ambience and never-ending options of things to do, places to eat, and buzzing activity. Annie is happy- jet-setting off to great places, coming home to her sweet boyfriend. The only teeny concern- there is talk of a merger- which could lead to losing her job. But, Annie is sure the airline will work out the necessary details and keep her flying the good life. Annie has a boyfriend who she adores- and he asks her to move in with him- which she takes a step on the way to the rest of their lives. One day, on a flight, Annie begins chatting with someone who sheds a light on her relationship- and Annie is concerned. When she gets home, she finds that she had reason to be concerned. So, she doesn’t have a place to live, no boyfriend, and then she gets the final bad news- she’s been grounded. Her boss hopes to get her back in the air in a few months- but the 2 airlines need time to see who they are keeping and who will not be re-hired. Annie decides to head to her family farm- back to Kentucky. When Annie arrives in Kentucky, life on the farm has changed. Her grandmother’s getting older and can’t keep up with farm life like she once was able. Annie suggests selling the farm and downsizing to a smaller home- but her grandmother balks at the idea. At first, Annie does not understand. Soon, though, farm life begins to feel right to Annie. Annie reconnects with her buddy Jake, who is wanting to leave the corporate rat race behind and start sustainable farming. That’s not the only thing he’s looking to change, though. He’s got a girlfriend who he’s hoping to make a fiance. His fiance, though, after visiting Kentucky- is hoping he’ll stay in the corporate world. When Annie gets a call telling her she’s going to be able to fly the skies again- she thought she would be excited. But life in Kentucky has grounded her in more ways than one. Will Annie go back to New York City or will farm life (and maybe the boy next door) be reason to stay in Kentucky? Angela Correll wears her big ole Kentucky loving heart on her sleeve as she writes Grounded! A debut novel that is sweet and funny- with life lessons amongst the story. Angela takes a story of a woman displaced from a fast paced life and sends her back home, back to where she learns to appreciate the simple life- the life of hard work and being able to hold your own. The plot, while it is a tad bit predictable at times, is still well-written enough to hold a reader’s attention. Enjoyable. Interesting. Nice pace and characters. *This book was sent to Traveling With T by a publicist in exchange for a fair and honest review. All thoughts and opinions are mine alone. It’s Friday! What are your plans for the weekend? 1. Deep South Mag and their #literaryfriday: Flannery O’Connor and money, James Franco and “As I Lay Dying”, Gatsby Companion Reading List, Top 10 references to Faulkner in Pop Culture and much more! 2. Book-Alicious Mama has posted Week 3 Questions for Astor Place Vintage, our September Book Lovers Unite selection. Join in the fun ( it’s a great book!) Don’t forget, Book Lovers Unite fans- we’ll be back at Traveling With T in October for The Life List by Lori Nelson Spielman! 3. Bookmagnet’s Fall for These October Titles is filled with interesting sounding books! Two have caught my attention even before she posted her list- The Last Winter of Dani Lancing by P.D. Viner and Bridget Jones Mad About the Boy by Helen Fielding. 4. Another AWESOME blogger- Rhiannon @ Ivory Owl Reviews! See Rhiannon’s #literaryconfessions for 2 #literarygiants she cannot stand! 5. Reviews posted this week on Traveling With T: A Seaside Christmas by Sherryl Woods, The Stranger You Know by Andrea Kane, and The Funeral Dress by Susan Gregg Gilmore.